QTD captures and stores the title information and documents, along with the discrete data elements. The title information is made accessible for the life of the loan. Additionally, QTD offers reporting capability to track operational key performance indicators and analytical processing. 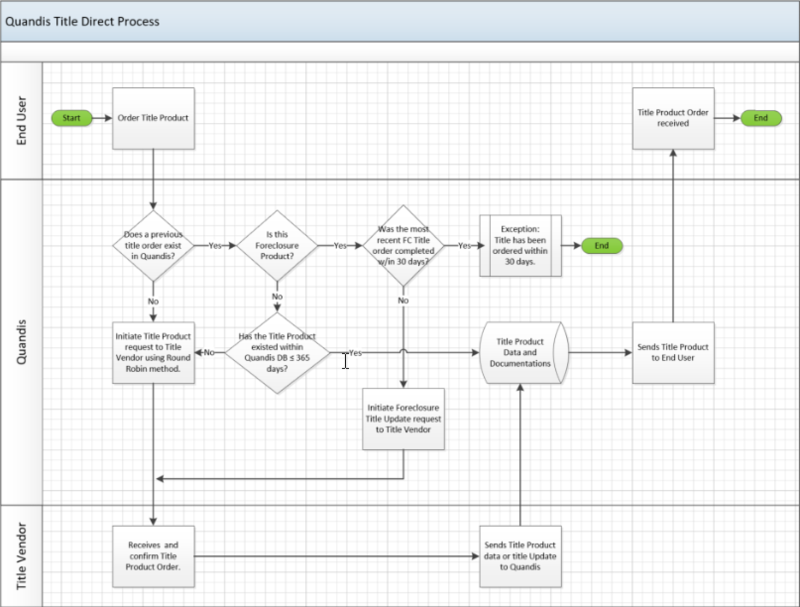 Below is a sample title workflow implement for a QTD client. You workflow can be customized in minutes to fit your requirements.